Renault group has decided to stop production of the Duster SUV equipped with dual-clutch EDC, as a new vehicle testing procedure on fuel consumption and emissions of NOx and carbon dioxide will enter into force on September 1. „Beginning in September 2018, Dacia will conform to the new WLTP (Worldwide Harmonized Light Vehicle Test Procedure), and the commercial offer will be adapted to the new global procedure. For now, EDC Duster versions are not intended to be marketed, taking into account this new regulation,” the marketing department of Renault Commercial Roumanie stated. In the first 6 months of 2018, Dacia sold 5,994 Dusters in Romania. The new Duster achieved very good results in the first part of the year, continuing to be a leader in its SUV market segment. 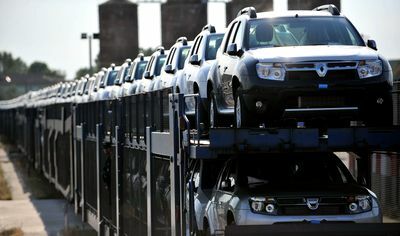 The top-selling versions are the top-of-the-line, 4×4, diesel versions. Versions equipped with automatic gearbox (EDC) represent 10 percent of total Duster sales. Dacia Duster was the first model of the car maker to benefit from an automatic gearbox, but only in 2017, a year before the end of the first-generation career. 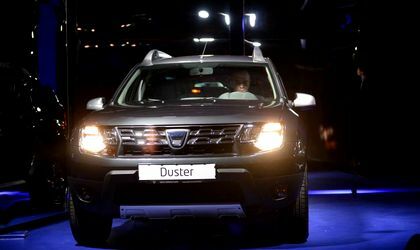 The new Duster will be offered with two or three engines, of which the new Blue dCi, 95 and 115 HP, and the third will be SCe 115 (1.6 liters), the only gasoline on offer.